The section kicked off the 2002 Annual Meeting with the traditional TS/OBS/RIPS/CS-SIS Joint Reception at the Orlando Convention Center. The Executive Board of OBS-SIS for 2002/03 consisted of Mary Jane Kelsey, Chair; Kevin Butterfield, Vice Chair/Chair-Elect; Ismael Gullon, Past Chair; Richard Jost, Secretary/Treasurer; Judith A. Vaughan-Sterling and Ruth Funabiki, members-at-large. The committee chairs were Kevin Butterfield, Education; George Prager, Local Systems; Ellen McGrath, Nominations; Michael Maben, OCLC; Brian Quigley, RLIN; and Anne Myers, Web Advisory. Eloise Vondruska chaired the Joint Research Grant Committee and Chris Long served as Research Roundtable Coordinator. Susan Goldner served her second year as MARBI representative. Mary Jane Kelsey served as Chair of the Education Committee for Seattle (2003) and Kevin Butterfield continues to serve as chair for Boston (2004). In her TSLL column, the Chair continued to advance the OBS Strategic Directions particularly Education and Communication. In response to the West challenge grant, OBS donated $200, 12% of its income, to the George A. Strait Minority Scholarship. OBS sponsored five programs at the 2003 AALL Annual Meeting in Seattle: “Envisioning Tomorrow’s Catalog: A View for Outside the Library,” “Open Linking and E-Journal Management: Strategies for Maximizing Your Investment in Electronic Resources Today,” “Connected to the Future: OCLC’s Connexion,” “Two Stepping with Technology” and MARBI Report co-sponsored with TS-SIS. Kevin Butterfield conducted the annual membership survey via the OBS Web site; results were published in the March 2003 issue of TSLL and were also posted on the Web site. Richard Jost, Secretary/Treasurer, posted the OBS slate of candidates’ biographical information via the Web site. New officers for 2003/04 are Georgia Brisco, Vice Chair/Chair-Elect; Michael Maben, Secretary/Treasurer; and Andrea Rabbia, member-at- large. We kicked off the Annual Meeting with the traditional TS/OB/RIPS/CS-SIS Joint Reception in Minneapolis. Sally Wambold and Ellen McGrath unveiled the OBS-SIS Strategic Plan for 2001-2004 with grand fanfare and celebration at the OBS-SIS General Business meeting on Monday, July 16, 2001. The Strategic Plan clearly outlines OBS-SIS structure, mission statement and strategic directions. Some aspects of the strategic plan are being fulfilled in a continuous way. The OBS-SIS Chair used his column in TSLL to expound on OBS-SIS’s three strategic directions: OBS communicates, OBS educates and OBS connects. The Executive Board of OBS-SIS for 2001/2002 consisted of: Ismael Gullon, Chair; Mary Jane Kelsey, Vice-Chair/Chair Elect; Ellen McGrath, Past Chair; Richard Jost, Secretary/Treasurer; Susan Chinoransky and Judith A. Vaughan-Sterling, Members-at-Large. The Committee Chairs were: Mary Jane Kelsey, Education Committee; George Prager, Local Systems Committee, Brian Striman, Nominations Committee; Michael Maben, OCLC /WLN Committee; Brian Quigley, RLIN Committee; Anne Myers, Web Advisory Committee. Brian Striman is the Joint Research Grant Committee Chair and Research Roundtable Coordinator. Susan Goldner has served her first year as MARBI representative. Ismael Gullon and Ellen McGrath served as Co-Chairs of the Education Committee for Orlando (2002) and Mary Jane Kelsey serves as Chair for Seattle (2003). Mary Jane Kelsey conducted the annual OBS-SIS membership survey via the OBS-SIS website. The 2002 OBS membership survey results were published in the June 2002 issue of TSLL and were also posted on the OBS-SIS website. Richard Jost, Secretary/Treasurer, posted the OBS-SIS slate of candidates’ biographical information via the website. This approach was greatly received as it saves time and money. New officers for the 2002-03 term are Kevin Butterfield, Vice-Chair/Chair Elect and Ruth Patterson Funabiki, Member-at-Large. OBS-SIS participated in the CONELL Marketplace and maintained its display table in the Activities Area of the Exhibit Hall during the Annual Meeting in Minneapolis. OBS-SIS has strived to publish an article about OBS news in every issue of the Spectrum’s “Special Interest Sections News” column. Georgia Briscoe and Karen Selden continue to post to the OBS-SIS listserv the very popular “Website of the Month”. I would like to extend my sincere thanks to Joe Thomas and Linda Tesar for continuing to produce an outstanding newsletter, Technical Services Law Librarian. Ruth Patterson Funabiki has completed her term as one of OBS-SIS’s representatives to the TSLL Board. Karen Selden will serve as newly appointed OBS representative to the TSLL Board for the next two years. Anne Myers became our Interim Webmaster in the January 2002. We appreciate what Maria Okonska did during her tenure as Webmaster. Anne Myers brings to this position the expertise and experience to allow us to move to the next level. A new web policy was written and implemented that outlines guidelines of the website and the roles and duties of the Webmaster and the Web Advisory Committee. The OBS-SIS web site was completely redesigned this spring, providing a user-friendly navigation and structure and offering many new or expanded sections, including individual pages for all OBS-SIS committees. Anne Myers and Anna Belle Leiserson created the web site using Dreamweaver software, taking advantage of features that will make it easier to maintain and keep current. The new design went live in June 2002. 2000/2001 was another busy year for the OBS-SIS! Strategic planning was a central focus, as was outreach and communication-building, as evidenced by the updated OBS-SIS Website and increased use of the OBS-SIS electronic discussion list. The leadership of OBS-SIS for 2000/2001 consisted of the officers: Ellen McGrath (Chair), Ismael Gullon (Vice-Chair/Chair-Elect), Cindy Cicco (Secretary/Treasurer), Georgia Briscoe and Susan Chinoransky (Members-at-Large), Brian Striman (Past Chair); and the committee chairs: Susan Goldner (Local Systems Committee), Michael Maben (OCLC Committee), Anne Myers (RLIN Committee), Maria Okonska (Web Advisory Committee), Jack Bissett (Nominations Committee), Corinne Jacox (Joint Research Grant Committee), Ismael Gullon (Education Committee), and Sally Wambold (Strategic Planning Committee). In mid-year, the co-coordinators of the OBS/TS Research Roundtable stepped down and Brian Striman assumed that role. OBS-SIS projected a high profile at the AALL annual meeting in Philadelphia in July 2000. OBS-SIS once again cosponsored the Saturday night “Alphabet Soup” reception that helps to kick off each convention and continued to reach out to new members through representation at the CONELL Marketplace. The OBS-SIS Table in the Activities Area of the Exhibit Hall was a very lively place. The popular paperback swap was accompanied by the new key tags giveaway, the OBS-SIS brochure, the Law Library Systems Directory, the MARBI representative’s report, sample newsletter issues, and lots of other goodies. The OBS-SIS meetings were well-attended and a plaque of appreciation was presented to Jack Bissett at the business meeting for his many years of faithful service to OBS-SIS. Maria Okonska became the OBS-SIS Webmaster in Fall 2000 and under her guidance, significant improvements were made to the OBS-SIS Website. The “look and feel” of the Website was brought up-to-date, as was the content dealing with the direct work of OBS-SIS. A goal for the coming years is to develop the Website further in terms of the links made to other sites that support the interests of OBS-SIS’ Local Systems, OCLC, and RLIN Committees. An effort was made to post more announcements to the OBS-SIS electronic discussion list this year. Georgia Briscoe and Karen Selden collaborated to bring the “Website-of-the-Month” to the e-list. This not only featured an interesting Website, but included the bibliographic record for the site for those who might want to add it to their own online catalog. OBS-SIS reached out beyond its own membership by having an item about OBS-SIS in every “Special Interest Section News” column in the AALL Spectrum published this year. The quality of the Technical Services Law Librarian (TSLL, joint newsletter of OBS-SIS and TS-SIS) continued at the high level established by its editors, Anna Belle Leiserson and Linda Tesar, with the assistance of Cindy May (Business Manager), Martin Wisneski (Webmaster), and a long list of dedicated contributing editors. Anna Belle and Linda have now completed their tenure as co-editors and Joe Thomas will become editor of TSLL beginning with the September 2001 issue. Linda will move into the role of layout editor. OBS-SIS extends its sincerest thanks to Anna Belle and Linda for their three years of excellent work and welcomes Joe as editor! TSLL provides a valuable record of the activities and interests of OBS-SIS and TS-SIS and fosters communication with the members of both Sections. Reports of AALL annual meeting programs sponsored by OBS-SIS and TS-SIS in Philadelphia in 2000 were included in TSLL and reports for the 2001 programs are also planned. Richard Jost completed his term as one of the OBS-SIS representatives to the TSLL Board. OBS’ other representative, Ruth Patterson Funabiki, will be joined by Corinne Jacox in the coming year. The OBS/TS joint research grant was awarded at the close of the year to Susan Goldner and Lorraine Lorne to purchase software that will enable them to create a 25-year index to TSLL. Ismael Gullon conducted the annual OBS-SIS membership survey and reported the results in the March/June 2001 issue of TSLL. The survey was available on the OBS-SIS Website in an interactive format for the first time, as was the OBS-SIS volunteer form. The OBS-SIS survey results were also shared with the members of the Strategic Planning Committee. Strategic planning was a major initiative of OBS-SIS this year. Sally Wambold and the members of the Strategic Planning Committee worked diligently throughout the year on conducting an environmental scan of the OBS-SIS members, developing the OBS-SIS mission statement, and writing the strategic plan itself. Gail Warren continued in her role as consultant and offered excellent advice that assisted the Committee in staying focussed on their task. As mentioned in last year’s OBS-SIS annual report, all talks of a possible merger were put on hold until this new OBS-SIS plan is in place. The Strategic Plan will be introduced at the OBS-SISBusiness Meeting in Minneapolis in July 2001. The Online Bibliographic Services SIS is fortunate to have a core of active, enthusiastic members who spend a lot of their time and energy on OBS-SIS work. I want to thank them for their contributions. I feel privileged to have had the opportunity to serve as chair. OBS is a great SIS! 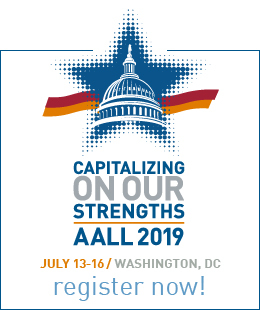 This year’s highlight for OBS was the hard work of the Education Committee and many dedicated librarians with excellent ideas which resulted in 5 out of 6 educational programs accepted for the 2000 AALL convention. Those programs were titled “Core Competencies for Support Staff: Librarians as Departmental Leaders” (Coordinator, Phyllis Post); “What I Like, Who Has It and Can I Have It? An Update on Library Integrated Systems” (Coordinator, Time Knight); “Instant Gratification! The Z39.50 Gateway to Searching, Cataloging and ILL” (Coordinator, Mary Jane Kelsey); “The Text Coding Initiative and Electronic Legal Texts” (Coordinator, Kevin Butterfield); and, “The Alphabet Soup of Cooperative Cataloging: Leading Through Participation in NACO, SACO, BIBCO, and CONSER (Coordinator, Ellen McGrath). The officers for 1999-2000 were Brian Striman, Chair; Vice-Chair/Chair-Elect, Ellen McGrath; Cynthia Cicco Secretary/Treasurer; Marla Schwartz and Georgia Briscoe, Members-at-Large. Arturo Lopez Torres, Nominations; Susan Chinoransky, OCLC Committee; Anne Myers, RLIN Committee, and Sarah Andeen, OBS Web Advisory Committee. Noteworthy OBS committee changes include a new Co-coordinator of the OBS TS Research Roundtable who is Becky Lutkenhaus and she will be working with LeGrande Fletcher. Also Ruth Funabiki volunteered to be the new TSLL OBS representative for the OBS TS Joint Research Grant Committee. The OCLC Committee Chair has changed from Susan Chinoransky to Michael Maben; Susan will step into her new role as OBS Member-at-Large. This year the Local Systems Committee chaired by Susan Goldner offered a special “open discussion” during their committee meeting on July 19th. The discussion and talk dealt with systems alpha and beta testing and featured the expertise of speaker Adrian White who shared Howard University’s experience with Innovative Interfaces’ new “Millennium circulation and serials” module, and Regina Wallen discussing Stanford’s SIRSI’s serials and and acquisitions modules. Other special activities that OBS had during the year included a major contribution to the TSLL newsletters 25th Anniversary issue with an article titled “The Evolution of the OBS-SIS 1977-2000” written by Ellen McGrath. Another activity was the OBS participated in AALL’s Public Relations Committee “Time Capsules.” OBS also contributed it’s share to the awarding of a $1,000 research and publishing grant as approved by the OBS/TS Joint Research Grant Committee, chaired by Corinne Jacox, the grant was awarded to Larry Dershem for research to develop classification schemes that can be used by catalogers for the classification of specialized collections. TS SIS shared in the grant award funding 50 percent. OBS was a visible presence at both CONELL and still continues its traditionally popular “OBS Book Swap” at its exhibit hall booth with the rest of the SIS tables. Also OBS was a contributor with the annually eagerly anticipated TS/OBS/RIPS/CS-SIS Joint Reception sponsored by Innovative Interfaces. This year’s reception was the most expensive yet and all the SIS’s join AALL members in appreciation of all that it takes to make this pre-meeting get together a success; particularly through the generosity of Innovative Interfaces Inc. The OBS annual survey for 2000 was mailed out to 304 members with a return rate of 15 percent. 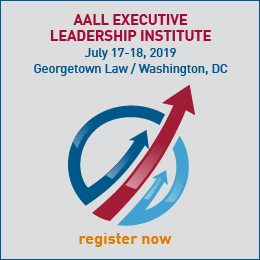 However of those few responses were many terrific ideas and volunteers stepping forward to continue the services and programs to AALL membership that OBS provides. Details on the results of the survey are published in the June 2000 issue of TSLL, written by Ellen McGrath. OBS strategic planning was begun by the formation of the Ad Hoc Strategic Planning Committee chaired by Sally Wambold. The Committee met with Gail Warren during the annual meeting and hosted by Pat Callahan at the Biddle Law Library to help get OBS get a “jump start” on the process. One issue that arose this year which OBS will look into was to investigate “merging” with TS SIS. Brian Striman, OBS Chair didn’t pursue this merger question this year, and decided to wait until OBS goes through the strategic planning process so that OBS can examine itself to see if a new focus with a new mission is needed or some other approach needs to be made to respond to the question membership has concerning overlapping topic areas and issues concerning OBS and TS SISs. This is a complex topic and must be looked at with patience and under slow deliberate scrutiny. Finally, the OBS-sponsored publication titled “Law Library Systems Directory” will be undergoing a dynamic transformation for the next edition. Headed up by Carol Avery Nicholson and a group of volunteers, the new version promises to be produced in electronic version and will be improved by broading its scope and making the contents and timely delivery of this important resource tool to its customers more useful in today’s environment.